Yesterday, for the first time this year, I went to a movie. 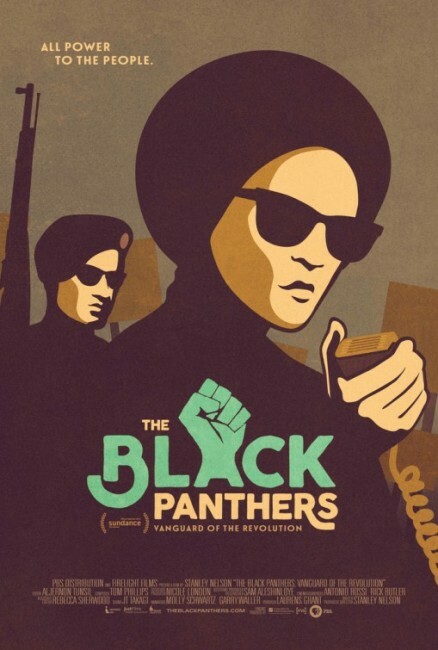 The Black Panthers: Vanguard of the Revolution is a documentary about the rise and fall of the Black Panther Party. There was a lot I knew about the panthers but the film revealed my ignorance. It also put previously disparate pieces together to tell a really important story. The film will have a relatively limited release, but I’d guess that it will show up on your PBS station in the near future. Women played a huge role in the movement. The panthers conjure iconic images of men in leather jackets, berets, and sunglasses. 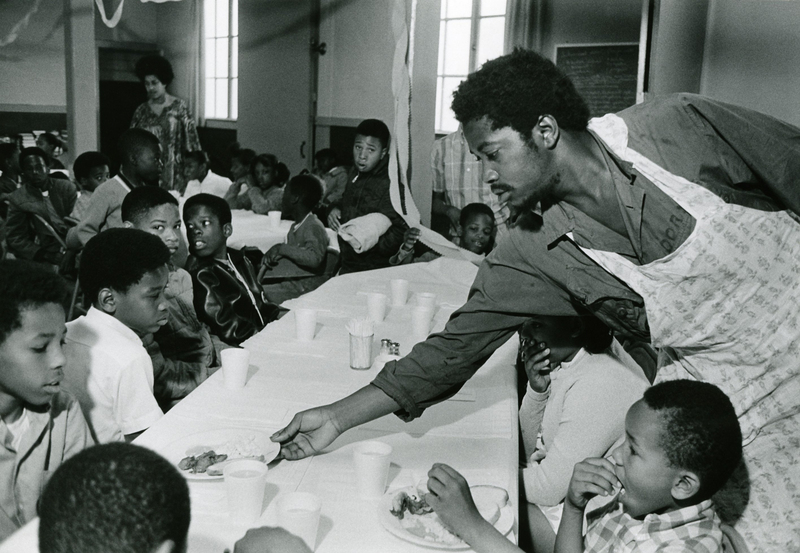 Men like Bobby Seale, Fred Hampton, Huey Newton, and Eldridge Cleaver certainly filled important and public roles. But the film was intentional to show how many women filled not just the rank and file positions but also provided leadership. Sexism and gender discrimination existed within the Black Panthers like they do everywhere, yet women like Kathleen Cleaver and others played a significant part it making the party and its platform what it was. Women drilling with Panther flags. Photo courtesy of Pirkle Jones and Ruth-Marion Baruch. Taking care of yourself is a revolutionary act. At least it is when you’re surrounded by urgent needs and opportunities. Like most of us would,the film shows many of the party’s leaders struggling to set aside time to be replenished and refreshed. Maybe it’s too much to expect, but what becomes clear as the film progresses is how deeply tiring this work was. As the years passed it became harder to maintain the focus and energy of the early years, especially as the outside pressure and attacks mounted. I wonder what might have been had this movement cultivated an expectation of care and rest alongside its zeal and courage. It’s hard to create and sustain something from nothing. Unlike much of the Civil Rights Movement in the south, the Black Panthers (as, perhaps, representative of the larger black nationalist movement) were much less associated with African American churches. Someone smarter than me can explain why these movements developed in different ways, but the film revealed many of the panthers to be ambivalent about the church and its role in the revolution. As the government attacks and deception increased, th movement began to turn in on itself- there was nowhere else to go. My bias is showing here, but I wonder what might have been different had the movement been more sympathetic to the churches and – more difficult perhaps – vice versa. I’m aware that much of the Civil Rights movement also suffered and splintered at roughly the same time, but my hunch – my not well-defended theory – is that the spirit of Rev. Dr. King could be found more robustly continuing on local levels than could be seen with the ethos of the black nationalist movement. White supremacist oppression often manifests as internal division within justice movements. Of course, this is not some coincidence of racism but a deliberate characteristic of it. The FBI under J. Edgar Hoover was an horrific and effective threat to the panthers using their tools of deception and violence to tear the party apart. We see the same today when pundits decry so-called black on black violence without telling the larger and truer story of the racist systems that have been at work on these minds and bodies since the country’s inception. It is one of the terrible lies believed by so many Americans, that they are justified in standing apart from the violence raining down on their fellow citizens, believing themselves to be innocent of whatever vague menace is hovers above the mayhem and death. 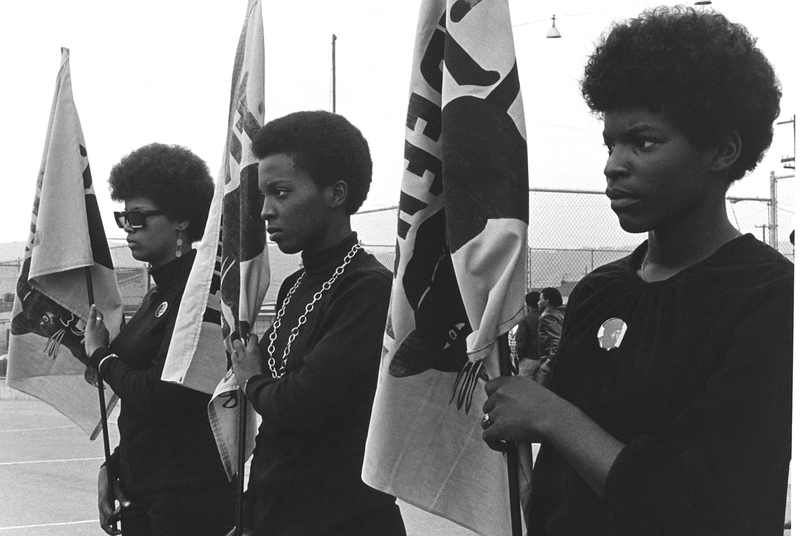 The Black Panthers and the history they represent need to be remembered well in this moment. We can learn so much from their courage, strategy, and liberated imaginations. There enemies, too, with their uncreative but unrelenting tactics, have a lot to teach us. Are we ready to learn?